A common thought of many is that hospice care is only for cancer patients or HIV sufferers. This isn’t true. Hospice care covers a wide range of medical issues at the end of life- heart failure, dementia, ALS, and COPD are just a few. Hospice care should be considered after the patient has decided to end aggressive treatments. There are also many signs to watch for if you feel your loved one would benefit from hospice care. 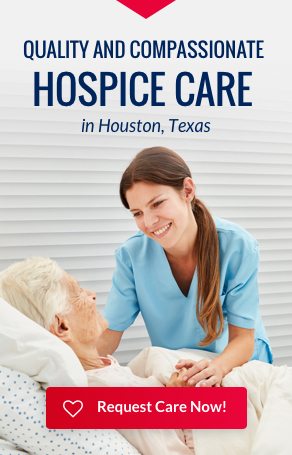 Physical decline is the easiest way to gage the need for hospice. Signs of physical decline include increase in falls, mental awareness decreasing, sleeping more, and an increase in pain. Other things to watch for is weight loss and becoming more dependent on others- needing help with bathing, dressing, feeding and restroom help. These are things that should be discussed with a doctor. Ultimately, the decision to enter hospice care should be the patients. They should feel at peace with knowing they are taking control of how they want their end of life to go. Our mission is to “provide compassionate choices to families and their loved ones that are facing health challenges by providing exceptional levels of medical expertise, respect, dignity, and support throughout their journey. We recognize that every patient is unique and each care plan must be tailored to meet their needs.” We pride ourselves on respect, dignity, integrity, and advocacy. If you, or someone that you know and care about, are in need of care, call Accredited Hospices of America for a free consultation.